Your NEW Member of the Month Sharon Bozza! We love her drive and consistency in coachability. Sharon Bozza is always willing to learn and follows your coaching tips well. She isn’t afraid to add weight when you cue her to, even when she thinks she can’t pick it up. She is an amazing inspiration to all of our athletes and a true asset to our box! 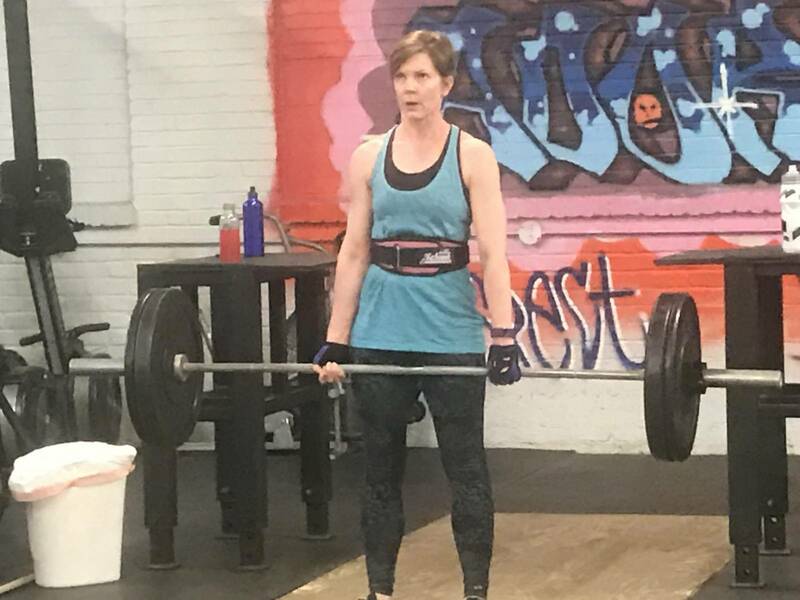 As a newbie to the CrossFit world of training, Sharon has become an inspiration to our greater Bethlehem PA, CrossFit community. 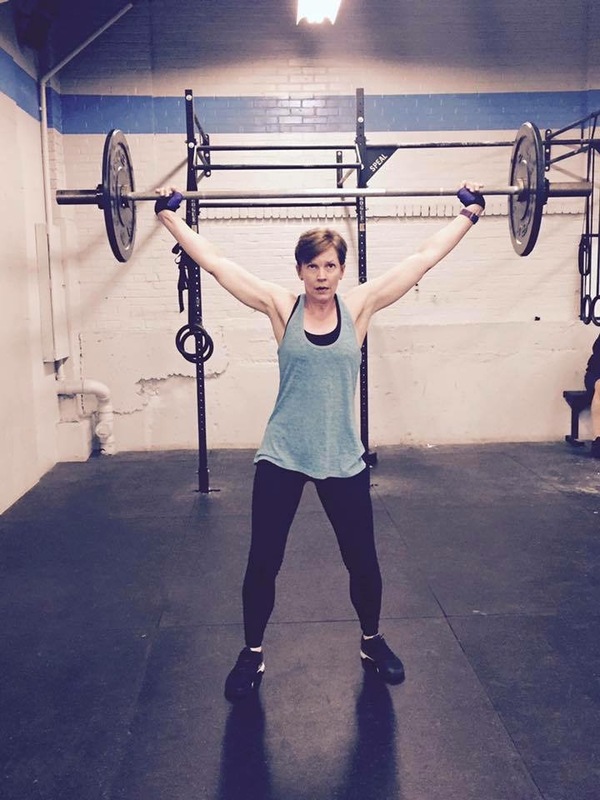 She is an example that CrossFit is for everyone, no matter your age, health, or lifestyle, all are welcome. Sharon brings her special liveliness to every class she attends. As coaches, we’ve yet to see her arrive in a bad mood or in a state of mind that isn’t ready to take on the day’s programmed challenges. She is not afraid to try a new technique or challenge herself daily. Sharon is one of the easiest people to coach that I have ever met. She listens intently and follows through by doing exactly what she is shown. Her work ethic is second to none and she works hard to the very end. Sharon Bozza is a pleasure and an inspiration to have in every class we work together in! If you had asked me three months ago to try CrossFit, I would have said ‘no thanks’. I thought it was a workout for the young and very athletic and I’m neither! My history of fitness was being a timer for the high school boys track team and being on my college kickline team. In the 90’s, I did step classes with 2lb weights since I didn’t want to bulk up, lol. In 2005 I had a laminectomy of two lumbar vertebrae to remove a tumor and in 2013 had a health scare that finally led me to make fitness a priority. I started taking HIIT classes just trying to survive until the end of each class. Just short of three years later, the gym closed and I thought I’d never be able to find the sense of community and challenging workout I had at my old gym. I was very wrong. Following the lead of very good friends from my previous gym, I took my first class at CrossFit Adoration and I was so nervous! Everyone has been so welcoming and I really enjoy the challenge of learning so many new skills that I would never have tried. I have so, so much to learn, and I really appreciate the push from the coaches and encouragement from other members!